Mugagga Lubowa, one of the pages persistently solicited by Mwanga without success, belonged to the Leopard (Ngo) Clan. His father, Mazinga, who later became a Protestant and took the name Isaiah, had three wives. The first, Tigalya, was a great-aunt of Seddu Kakinda, the royal bark-cloth maker. The second wife, Nassubwa, was the mother of the martyr and of four other children. Mazinga, because of the relationship by mar¬riage, through his first wife, received patronage and assistance from Seddu Kakinda who was also head of the Yam-fruit (Kkobe) Clan. Kakinda established Mazinga and his family upon one of his estates at Jjalambwa, in Mawokota County, where Mugagga was born about the year 1870. His name, which means rich or wealthy, was given to him by his mother in the hope that fortune would look kindly upon him. Following the common Kiganda practice, Mugagga was sent, as a young boy, to the household of Seddu Kakinda, who brought him up as his own child and presented him at Court when Mwanga be¬came Kabaka. Some witnesses suggest that Mugagga worked in the court of the audience hall, but Desire Wamala asserts positively that he was attached to the private section of the enclosure. This seems to be confirmed by the fact that he was unable to receive any religious instruction by day, and could go to Charles Lwanga at night only. He was thus not publicly known as a Christian, and when, on the fateful morning of 26 May 1886, he ranged himself with Charles and the other Christians, the Chancellor himself tried to save him by stating that Mugagga was not a Christian. The sixteen year old boy would not accept the chance of escape thus offered to him. He had bravely resisted the shameful demands of the Kabaka during his catechumenate and now, fortified by the grace of baptism, received that morning at the hands of Charles Lwanga, was eager to die for his faith. 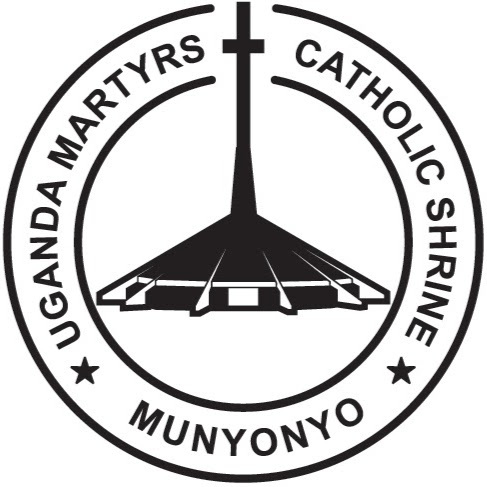 Although Mugagga’s father became a Protestant, most of his family, including his mother who received baptism and the last sacraments when mortally ill, embraced the faith for which he laid down his life. His adopted father, Seddu Kakinda, also eventually became a Catholic, although at the time of the persecution he was so horrified at the fate of his adopted son that he drove from his home his daughter, Namirembe (later Sister Pelagia), because of her ad¬herence to that religion. Being attached to the private section of the King’s enclosure, Mugagga was unable to receive any religious instruction by day, and could go to Charles Lwanga at night only. He was thus not publicly known as a Christian, and when, on the fateful morning of 26 May 1886, he ranged himself with Charles and the other Christians, the Chancellor himself tried to save him by stating that Mugagga was not a Christian. The sixteen year old boy would not accept the chance of escape thus offered to him. He had bravely resisted the shameful demands of the Kabaka during his catechumenate and now, fortified by the grace of baptism, received that morning at the hands of Charles Lwanga, was eager to die for his faith. From Munyonyo where the death sentence for all Christians was passed, Mugagga was led together with his fellow Christians to be burnt.